The debut album by Rob Base and DJ E-Z Rock was released 30 years ago today. ROB BASE: (Rapping) I wanna rock right now. I'm Rob Base, and I came to get down. MARTIN: It was called "It Takes Two." And it had one of the most defining singles in hip-hop, all anchored by this hook. LYN COLLINS: (Singing) It takes two to make a thing go right. It takes two to make it out of sight. MARTIN: That's a sample from a song by Lyn Collins called "Think (About It)." Collins died in 2005, but thanks to that sample, her name is canonized in music history. NPR's Andrew Limbong has more. COLLINS: (Singing) Hey, fellas, I'm talking to you, you, and you too. ANDREW LIMBONG, BYLINE: The original "Think (About It)" begins with a message for the guys, specifically the kind of guys who stay out late and assume their woman would sit quietly at home and just take care of things. That message essentially was that women don't need you. COLLINS: (Singing) So you'd better think, think. LIMBONG: But it was really the drums, says Rob Base, that drew him and his partner, the late DJ E-Z Rock, to the track. They first heard it on a record full of drum beat compilations. BASE: We first picked out the break beat. BASE: But then when I listened to the whole song, I was like, yo, this song is dope. BASE: We realized that it was one part when she said that it takes two to make a thing go right. And I was like, wow, this would be a nice hook, too. COLLINS: (Singing) It takes two to make a thing go right. It takes two to make it out of sight. LIMBONG: But it wasn't Lyn Collins' voice that would end up on the final mix. BASE: I love the way she did the hook, but then the record company wanted to bring in another singer to do it, I guess, for copyright reasons or something like that. LIMBONG: The label chose Rhonda Parris, who, besides "It Takes Two," put out a house club single of her own called "No No Love." RHONDA PARRIS: (Singing) No, no, no love, hey, baby, I'd close the door. LIMBONG: But after that, Parris seems to have vanished. NPR tried tracking her down with no success. As for Lyn Collins, even though it wasn't her voice on "It Takes Two," other artists started covering "Think (About It)" and she started getting calls. The song helped her find a renewed identity of her own, which is important when you consider her boss. LOLA! LOVE: Now, she was going and making appearances on different shows, and it wasn't under the guise of James Brown. LIMBONG: That's Lola! Love, a friend of Lyn Collins and dancer for James Brown. She says that Collins grew up singing in Abilene, Texas, and was handpicked by Brown to be his female counterpart. LOVE: But anybody that's worked with James, he's a taskmaster, and therefore to be the singer, to be the female goddess on his show, she had to be - when he was around, she had to be a star at all times. LIMBONG: That meant looking the part, acting the part and sounding part. 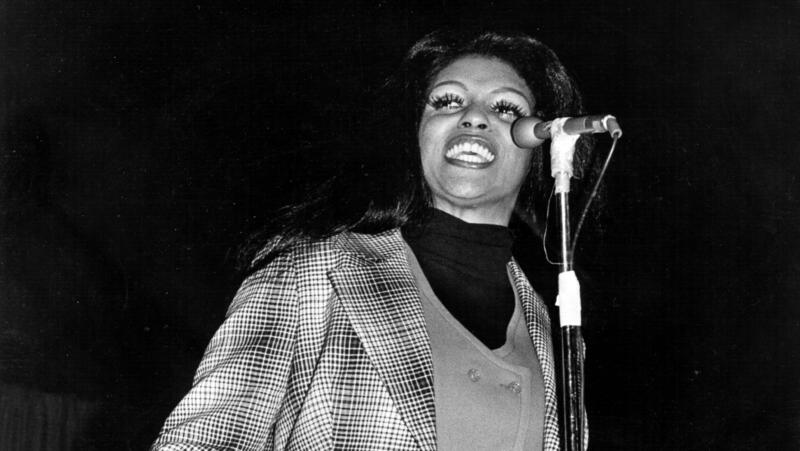 LIMBONG: For her part, Collins had this to say to an audience member on "Soul Train" in 1973 who asked her, when did James Brown discover you? COLLINS: Well, I have to answer by saying, first of all, that he didn't really discover me. I discovered him. I had an ambition because I, you know, wanted to sing, so I bugged him quite a bit until he listened to me. LIMBONG: Brown even produced and released her only two albums. She became known as the female preacher, but it was two rap pioneers who, right up until she died at the age of 56, helped Lyn Collins have a career of her own. Andrew Limbong, NPR News. COLLINS: (Singing) It takes two to make a thing go right. It takes two to make it out of sight. Transcript provided by NPR, Copyright NPR.